Like a lot of us I have a love for collecting. One of my favorite things to collect are cake stands. Whenever I see one that I like, usually in a thrift store I snap it up. I've been wanting to diy one for a while and since I haven't found one lately that I really liked while thrifting I decided to go ahead and make one. I bought a square plate for 2.00 at Walmart, then I printed two images that I purchased from an Etsy shop.I cut out parts of both images and glued them on the back of the plate.
. After the images dried I painted the back of the plate with two coats of white paint and when the paint was dry I brushed on three coats of poly. After the poly dried I glued a candle holder in the center with a resin type glue. 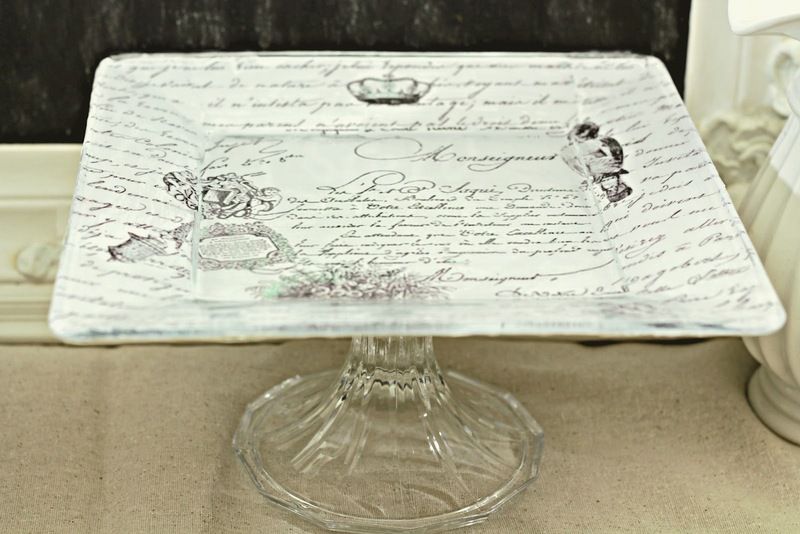 It's got a few boo boos, but I love the images and I think they made a pretty cute cake stand. Turned out so nice, Karen. I love cake plates too. I never come across any while thrifting though. I found a few inexpensive ones at Home Goods. I love yours and I could see myself making a few and giving them away as gifts. Thanks for sharing and I hope you had a nice weekend. Karen that is soooo pretty! Simple is the best, and always makes me smile. Thanks for sharing. It looks very pretty Karen. Great job! Great look you did well. I am like you I have a weakness for cake plates also. They seems to find me! This is really stunning... and so easy! I will give this one a try myself! Looking forward to seeing it at TUTORIALS TIPS AND TIDBITS! I love it! I like the images you chose very much. I love it, Karen! 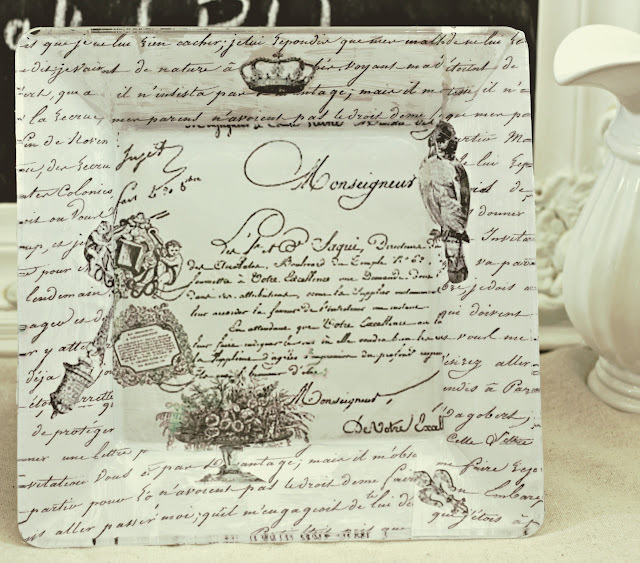 You made a beautiful plate with those images and some white paint. Clever girl you. I still remember the first time I saw John Derians work in Country Living I believe? It was so brilliant. When I went to the NY gift show for the first time I ran into his booth. It was a mad house. One designer friend told me that it fits in every kind of decor whether modern or vintage. It's timeless. What a beautiful piece you created, Karen. Love it. Very pretty what a gorgeous piece. I love this! Thank you for sharing your tips! I think it looks expensive! Don't you just love it when that happens! Who would know that it was two inexpensive pieces! Boy do I love the look of this DIY, thanks so much for sharing. I'll give it a try this weekend. So beautiful and very creative indeed. Karen, This is such a very beautiful cake stand! I can think that almost anything you put on it would be delightful! Your directions were great!!!! I hope you put a pretty fall vignette on it and share it with all of us! Thank you so much for joining TUTORIALS TIPS AND TIDBITS with this frenchy cake stand! This is beautiful, Karen, and I love cakestands, so I will have to give this one a try! Lovely! I'm right beside you at Yvonne's party and wanted to come over to say hi...and that I love this cake plate. I would never have thought of doing this so I am filled with admiration! Well done. Aren't cake plates the best? I love the square one you created, nice job! I love your cake stand. That is so creative! Thanks for commenting on my blog about my chalkboard calendar and for following me. I am following back! Love the cake stand--I made a couple last week using D-6000 glue--it has a weird odor and ran in some spots (live and learn) --disappointing to say the least. What type of glue did you use to attach the base to the plate? Such great idea. I absolutely love your cake stand and your blog. What a fantabulous idea Karen...I love how it turned out. Thanks for the inspiration my friend...I might just have to turn into a copy cat...Hee, Hee, Hee. Wishing you a wonderful weekend. How pretty! I love that you used a square plate instead of a round one. Gotta add this to my must-do list! What a neat idea! I love the graphic that you added. A great way to make any occassion unique. I love it! what a great idea. my neighbour and I were just saying we should make a cake stand .she just hosted a holy communion party for her a daughter and we had to rig together a cake stand for it. I think i'll borrow this idea as this looks fab. 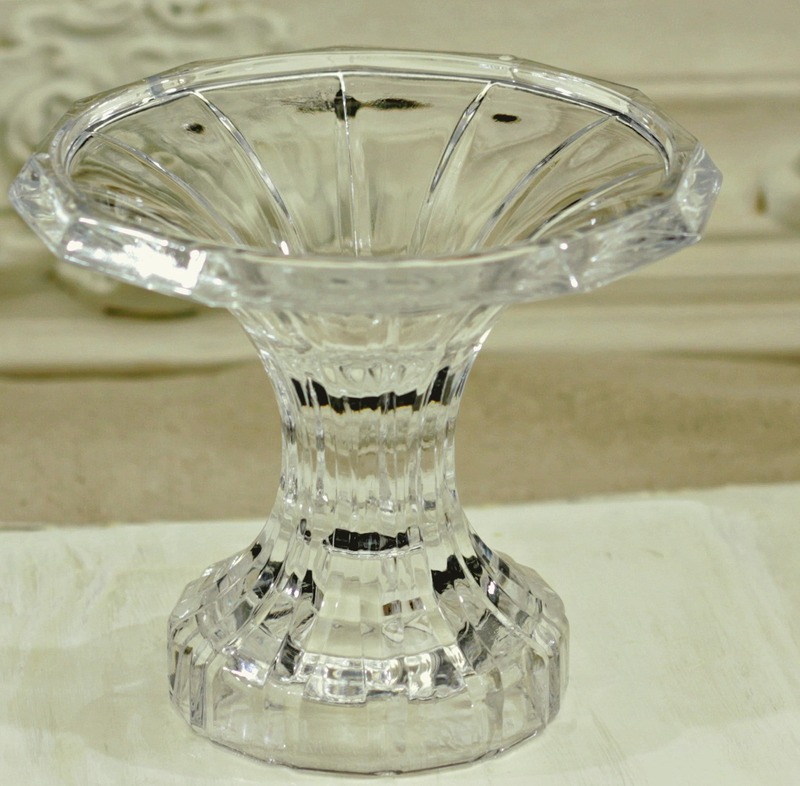 Hi Karen, I've shared your pretty cake stand on Friday Finds today. Thanks! What a beautiful project, and a great idea! I could use a new cakestand myself! I really love your new plate stand! I think you did a great job on it, love the graphics you decorated it with. Can I add my voice to the voice of so many? This is amazing! I love how it turned out! Thanks so much for inspiring me today. Wow, that turned out so great! Love the graphics you used. Thanks for sharing! Now this is different than anything I've seen with the DIY cake stands -- beautiful job and choice of graphics! This is a fantastic project. I think it's so pretty! I love the fact that it's square, and I really like the images you used for the decoupage! GREAT IDEA! 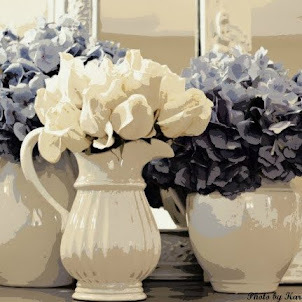 These would make an amazing gift done with different images! Thanks for sharing. HUGS! Your cake stand is gorgeous, I love decoupage and cake stands are so expensive here...you have given me a great idea. Karen, thanks for taking the time to stop over at Quirky Vistas and leave me such a nice comment. You sure do have a lot of great ideas here. I believe I pinned one of your ideas from a couple posts down a while back. Just love how you take such ordinary things and give them dazzling new personalities! I absolutely love this!! It turned out so amazing. I think the square is somehow more interesting that the usual round cake stands. I just love decoupage.